If you ever get the chance to explore Yellowknife by snowmobile, I highly recommend it. 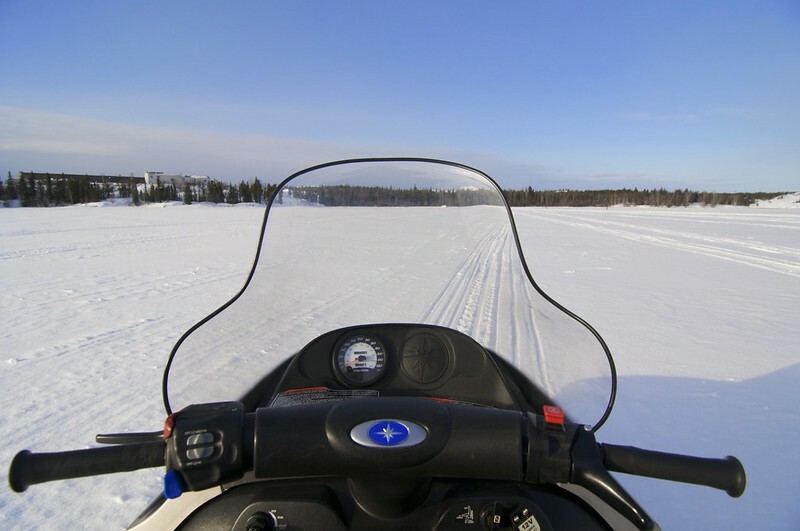 Sure you could tour around in a vehicle, but in the winter, a snowmobile is so much neater. You could also walk, but you can get around quicker on a snowmobile and check out all the cool attractions. If you don’t have a snowmobile or are just visiting, you maybe able to rent one. Yellowknife has a trail system like no other to get you around the city, but it is not city regulated and the care falls on the riders, so please drive with caution. 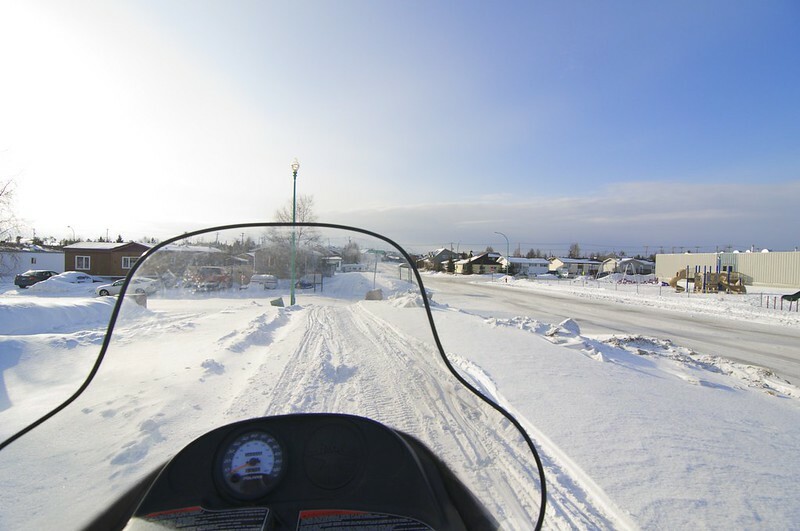 Yellowknife is also one of the few cities in the world where it is perfectly acceptable to drive a snowmobile on the roads (except for a certain part of downtown). 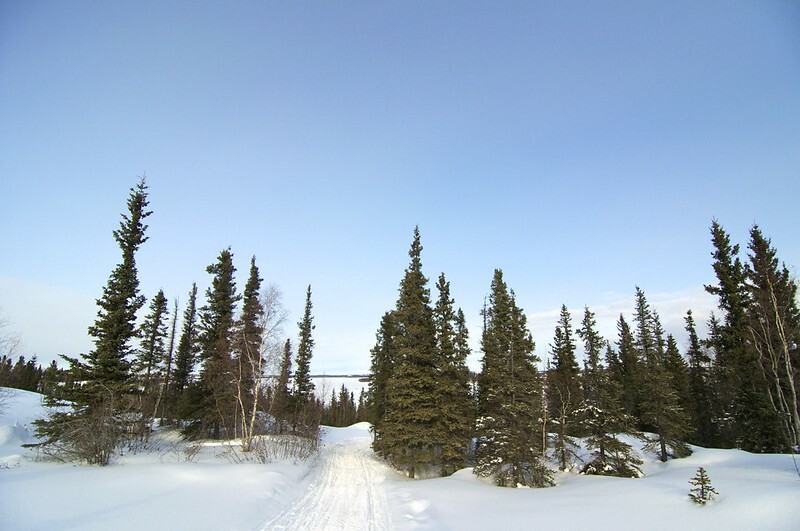 When exploring Yellowknife by snowmobile you are able to drive ride right up to what makes Yellowknife unique. 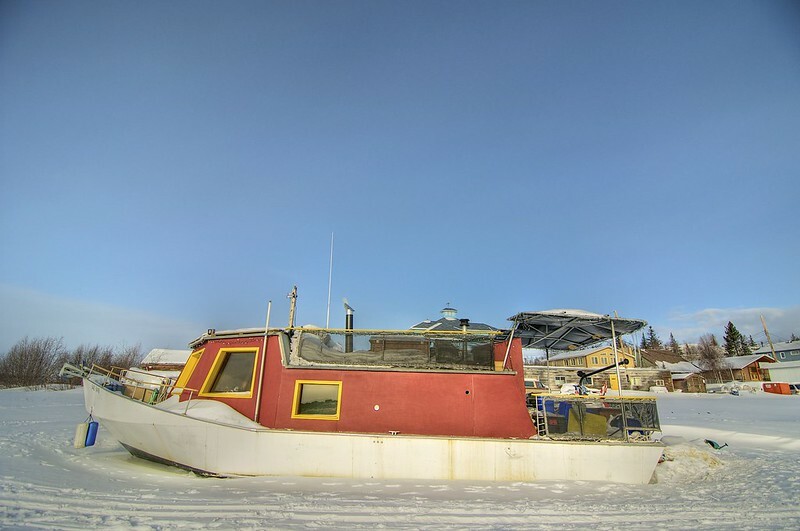 Places like the well-known Yellowknife Bay Houseboats, or the docks including the bush planes on skis. 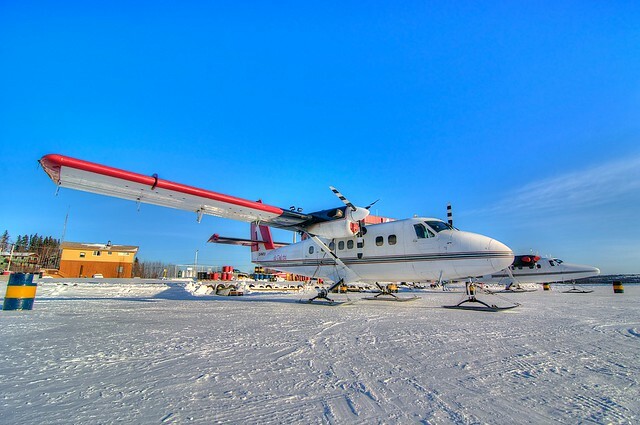 See first hand what is like to see a plane on skis take off on a frozen runway or check out the fish plant, maybe even get yourself some fresh white fish. Moving away from Yellowknife Bay and Great Salve Lake you could head to Frame Lake and drive up to the outdoor skating rink out in front of City Hall. Or go down to Kam Lake and Grace Lake where you could watch dog-sledders come ago. You could then explore the recreational area of the Sandpits and while there you could watch the planes come and go from Airport. There is much to do and see just within the Yellowknife city limits, but you don’t have to stay there. It is only a quick drive until you are completely outside of the city. Take an ice ager with you and try your hand at ice fishing. There is still much more you can do and see within Yellowknife when traveling by snowmobile. Please share your favourites in the comment section.